Entries open on 21st February and close at midnight BST on 14th July 2019. If you are ordering our FEEDBACK SERVICE, please put (FEEDBACK) after the title in your submission. We can offer up to 10 FREE ENTRIES to low income writers of any age. Closing date to apply 30th May. Entries are strongly welcomed from BAME writers and those from other under-represented groups. The short list will be announced on 1st November 2019. The winner will be announced on 25th November 2019, the International Day For The Elimination of Violence Against Women. The winner will receive a prize of £1000 and an engraved glass award. 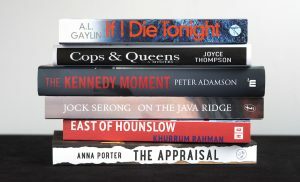 Our 2018 shortlist contained novels from two mainstream publishers, three indies and one unpublished manuscript. All entries stand an equal chance!